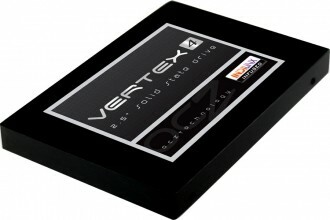 Rumors are circulating that OCZ is in talks with several industry giants about a potential buyout. According to Fudzilla's unnamed industry sources, Seagate is a likely buyer and would pay over $308.5 million, OCZ's Nasdaq value before the rumor was published (Seagate is valued at over $11 billion, for comparison). It's also believed that, if the deal were inked, OCZ would continue to exist as a brand within Seagate and it might even operate as a separate company. Micron was also named as a potential buyer. The news gained steam following a Reuters report, in which analysts said a buyout would make sense. "I'm hearing the same rumors," said Shelby Seyrafi of FBN Securities, "I can only say that after the last quarter, when OCZ's cash situation became more challenging, they would be more willing to enter into a deal." Gary Mobley of Benchmark Capital believes the acquisition would be possible for either Seagate or Micron, noting that "Seagate has been late to address the flash storage market and needs to hedge its aging HDD business" while "Micron would benefit from owning OCZ by selling more NAND flash." Lazard Capital Markets' Edward Park also thinks it's plausible for Seagate to be considering the acquisition, because the company has made several moves signaling that it wants to gain traction in flash drive business. This includes a recent strategic agreement to develop enterprise and consumer SSDs with DensBits, a drive controller maker. OCZ's shares rose 23% Thursday, adding about $69 million to its market value. The company had an iffy first quarter, posting a $6.3 million loss earlier this month. Revenue increased 54% to $113.6 million, but still fell short of the $115.7 million expected by analysts and narrowly met OCZ's own forecast of $110 million to $130 million. The outfit blamed supply chain problems for raising expenses in early 2012, but said those problems are solved. OCZ and Seagate declined to comment, but Fudzilla believes an announcement could be made as early as next week.